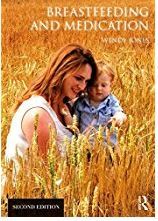 Recently I have found myself suggesting it to mothers who are at the point of needing methotrexate to control their symptoms and therefore needing to stop breastfeeding. I have to congratulate the manufacturer UCB Pharma on taking this very positive step and hope others follow suite. Please note I have no links financial or otherwise with them. AOn Friday March 22nd I had one of the most wonderful, magical days of my life – I was presented with my MBE by Her Majesty the Queen at Windsor Castle. I was lucky enough to have all 3 of my amazing daughters and my wonderful husband there to share it with me as they have shared my journey. Lots of people asked me in the week up to the Investiture if I knew which member of the Royal Family would be performing the ceremony. I didn’t know until about 5 minutes before I entered the Castle when one of the members of staff told me – tears immediately sprang to my eye (why did I use mascara!). This was beyond my wildest dreams as I am a Royalist and have been hoping that this would happen. I knew Prince Charles was abroad and that Prince William had presided over one earlier in the week but wasn’t quite sure. 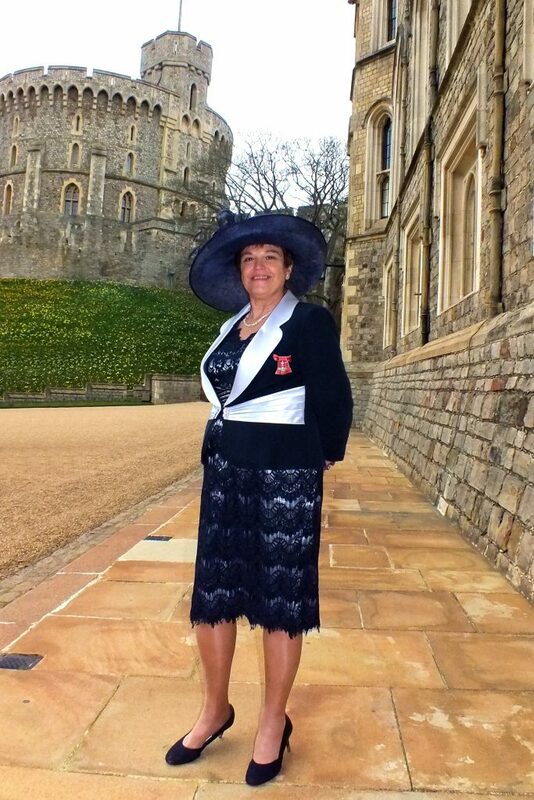 Only 2 Investitures a year are held in Windsor Castle so that in itself was a privilege. We were booked into a hotel literally opposite the Castle and it seemed unreal as I woke up on Friday that in a few hours I would be inside with all the magical pomp and ceremony that Great Britain does so well. We drank champagne in our room that morning with our 3 wonderful daughters Kerensa, Beth and Tara who had travelled to be with us and with 2 sons in laws as well as Isaac and Elodie (and Tara’s bump!). The other 2 grandchildren were at school. We joined the queue of people awarded honours and their families to enter the Castle at 9.45 and were directed up through the grounds which I had watched during the wedding of Meghan and Prince Harry. To see the history unravelling before us as we entered through this beautiful building and to see the wonderful art was quite spell binding. I was directed into a room with other nominees to mingle and drink apple juice. All the staff were so supportive and kind, no doubt used to witnessing the nerves. I met several people from Hampshire and listened to their stories but what struck me was how “ordinary” everyone was, all of us still astonished to have been given the awards. Mine was for services to mothers and babies. We were given clear instructions on the ceremony and how to bow or curtsey as well as address Her Majesty, we filed nervously through rooms to the Waterloo Room where we were to receive our medals. As I stood there, I tried to take it all in, that I had come to be here seemed truly amazing. I just follow my dreams and do what means the world to me which is help mums and babies continue their breastfeeding relationship when mum needs medication short or long term. I managed my curtsy and approached the Queen who smiled encouragingly at me and asked about my role. She even laughed at my description of what I do and commented that it must be very interesting. She held out her hand to shake mine and I walked backwards to curtsy again and leave. My moment was over but will be etched in my memory for all time. I even got to say “breastfeeding” to the Queen! From my aged viewpoint having botox and fillers whilst breastfeeding feels odd. It would never have occurred to me but I’m trying not to sound old fashioned! There is no published research that I have been able to find and trust on the passage of fillers into milk so I cant say that they are safe or unsafe. I just do not know. There is some information from one mother who caught botulism from eating fermented salmon eggs. She continued to breastfeed. No botulinum toxin or botulism was found in the breastmilk or the baby. The doses that are used medically are far lower than that which would have caused the mother’s botulism so the amount in breastmilk is assumed to be too low to produce adverse effects. Both these cosmetic procedures have to be undertaken with this limited information in mind. It is your choice and I am not making any recommendations. 1. Lee KC, Korgavkar K, Dufresne RGJ et al. Safety of cosmetic dermatologic procedures during pregnancy. Dermatol Surg. 2013;39:1573-86. 2. Middaugh J. Botulism and breast milk. N Engl J Med. 1978;298:343. Breastfeeding specific multi vitamin supplements are expensive and many mothers want to purchase standard multivitamin and mineral supplements. The standard products such as Sanatogen and Centrium are suitable for use. It is important not to take products which claim to be high dose and where the recommended daily amount is reported as in excess of 100% on the label. However, we do know that as a new mum finding time to eat properly can be a challenge and a multivitamin is a safety net. AVOID dose of vitamin A above 700 mcg/day and vitamin B6 above 20-50 mcg/day. Iodine can concentrate in breastmilk so do not take levels in excess of 100% RDA. I am often asked about products, usually herbal, to detox and about breastfeeding afterwards. In general these products contain a combination of herbal laxatives and at least one diuretic . Basically the result is to make you pass more urine and develop diarrhoea to “cleanse” the system and usually to lose weight. There is a large risk that in doing so your milk supply will diminish too. The data on the safety of the herbs in breastfeeding is often poor. I cannot provide data that these products are either safe to use and feed as normal or that they are unsafe – there is just is not enough data that I would be confident in using. Therefore I cannot help with information. The decision has to be your own or on the recommendation of a qualified herbalist who is willing to take professional responsibility. Cannabis use on a regular basis by breastfeeding mothers concerns me. Cannabis has a long half life (25-57 hours) and it takes 5 times this to be removed from milk. THC crosses the blood brain barrier and it is known to accumulate in body fats. Although it is highly protein bound and subject to first pass metabolism, the milk plasma ratio is 8. We do not know enough about the impact on the developing brain to be sure that the amount passing through breastmilk is safe. Regular use is not recommended in the breastfeeding mother or other members of the family who may expose the baby through passive inhalation. Interestingly I am getting more reports of mums who have taken codeine accidentally – having opened the wrong packet, or been given it by supportive partners or relatives and friends. They are terrified that they have to stop breastfeeding and ask for how long they need to pump and dump their milk (such a terrible risk of liquid gold!). Here is the answer! A brief introduction to the information on the safety of anti epilepsy medication during breastfeeding. It does not include full information but you can find more in my book or by emailing me. 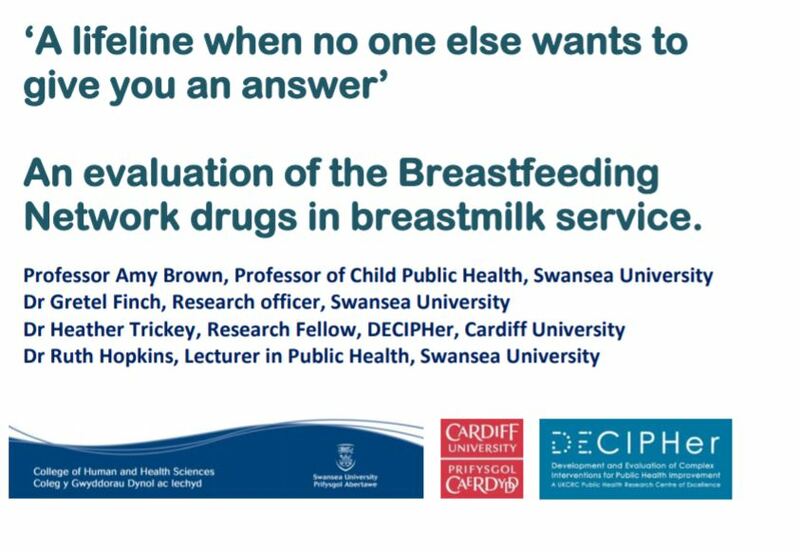 There is no reason why women who have taken anti-epileptic medication throughout their pregnancy should not be encouraged to breastfeed their baby (Veiby 2013). However, women should be counselled on the signs of risk to be aware of, in particular excessive somnolence and poor weight gain. The risks increase with multiple drug regimens.